The Rebel Sweetheart. : Spotlight | Nutri 10 Plus Syrup. I'm a bit OC (obsessive compulsive) when it comes to traveling, especially the packing part. I usually start packing a week or two prior to my trip and with a checklist at hand - because I want to be sure that I don't miss out anything that we need for our trip. We'll be traveling again in a few weeks' time, and I've already begun this whole packing process. I've listed down all the things that I need to pack, sorted out which clothes to bring, bought the food stuff that I will be giving away as 'pasalubong' to my friends abroad, and most important of all, prepared our medicine kit which includes our good ol' nebulizer (can't leave home without it! ), medicines for cough, colds, fever, and asthma, and of course, my son's vitamins. 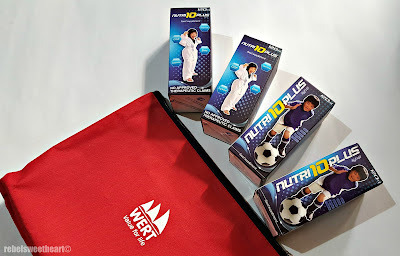 I had the privilege of receiving these bottles of Nutri 10 Plus from Wert Philippines; they were delivered a few weeks back and I'll be bringing along a bottle or two, just enough for our month-long trip. Prior to this, Yue had been taking a different brand of multivitamins for years. 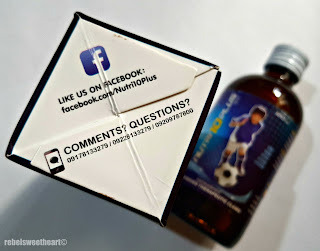 Although I had no qualms about switching brands, I did check the nutritional composition of Nutri 10 Plus before giving Yue his first dose. Nutritional Information (click to zoom). Good thing this product has everything a growing child needs. First of all, it has Chlorella Growth Factor (CGF), which I'm very particular about. CGF, a complex substance from Chlorella extract, accelerates cellular regeneration and helps as a growth enhancer. I want Yue to achieve his maximum height potential, ergo I want him to be taller than me or his Dad as he grows older. It also has taurine, which aids in brain development and enhances memory and mental clarity; lysine, which helps improve appetite; and zinc, an essential element in regulating the body's immune system. 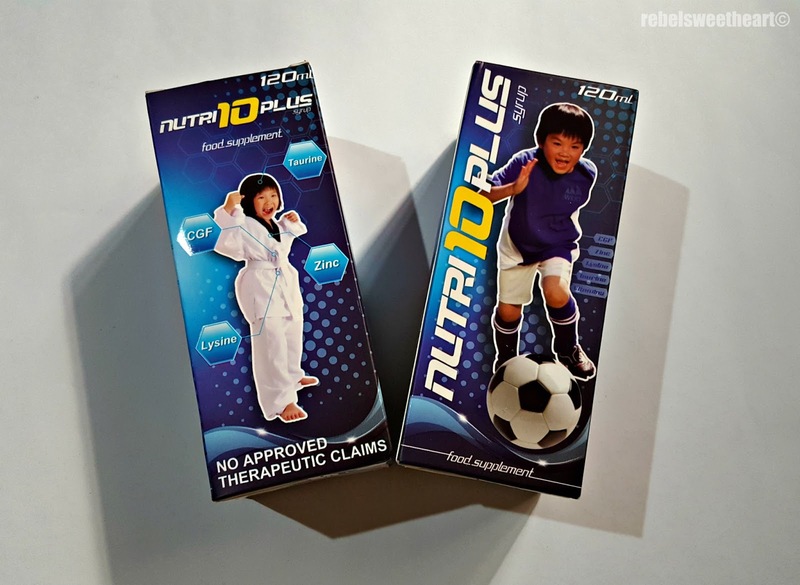 In addition, Nutri 10 Plus also contains all the essential vitamins such as A, B-complex, C, and D3. 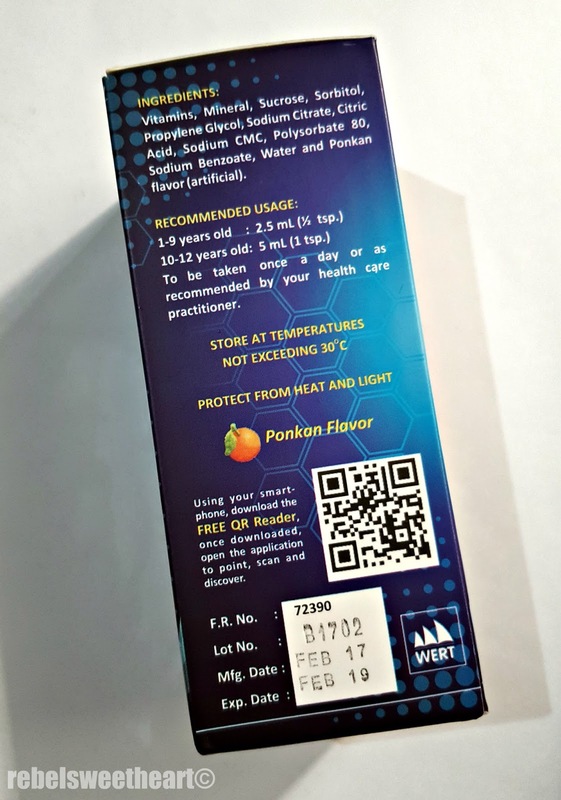 Ingredients, usage instructions, and other product details. Yue has been taking this for almost three weeks now - 2.5 mL daily after breakfast - and I've seen a lot of improvement in his appetite. He is constantly hungry, which is a good thing for a kid his age. He eats a whole lot more after his karate training, which now happens twice a week. And despite this hot and humid weather, Yue has not had a cough or a cold - thank goodness! Nutri 10 Plus Syrup is sold in 120 mL and 250 mL bottles, priced at Php 180 and Php 310, respectively. 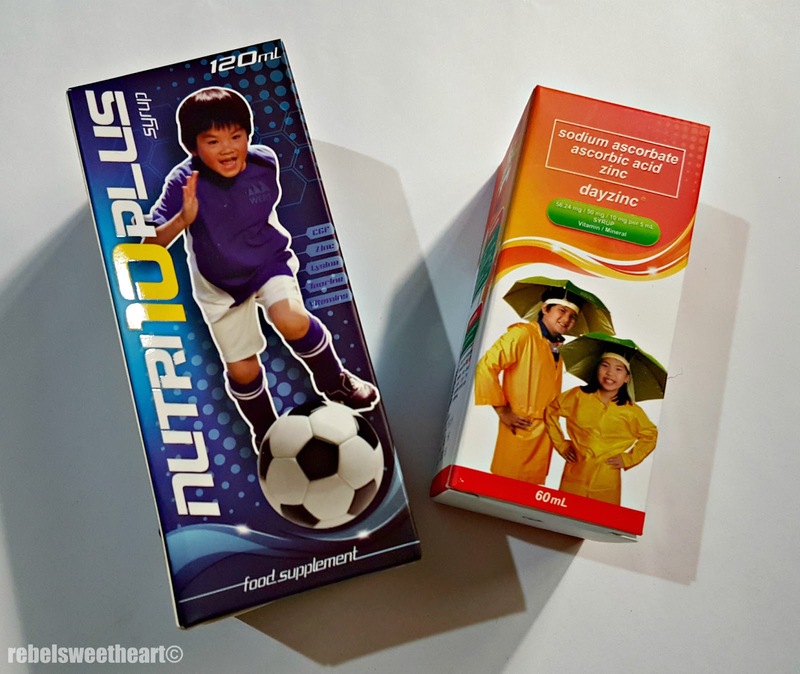 For babies, they have Nutri 10 Plus Drops sold in 30 mL bottles for Php 125. These can be bought at Mercury Drug outlets nationwide. Nutri 10 Plus + Dayzinc. 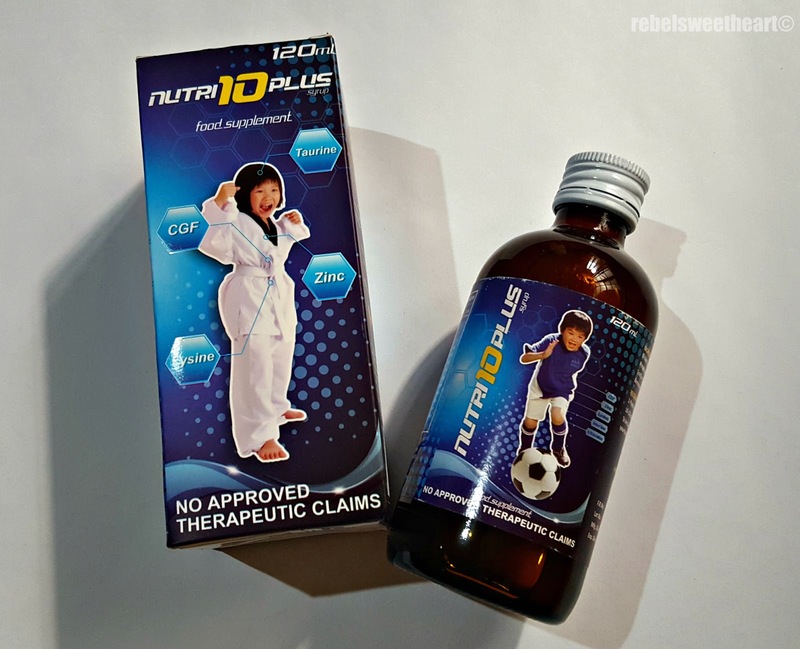 For best results, take Nutri 10 Plus in conjunction with Dayzinc, a non-acidic Vitamin C supplement with zinc. 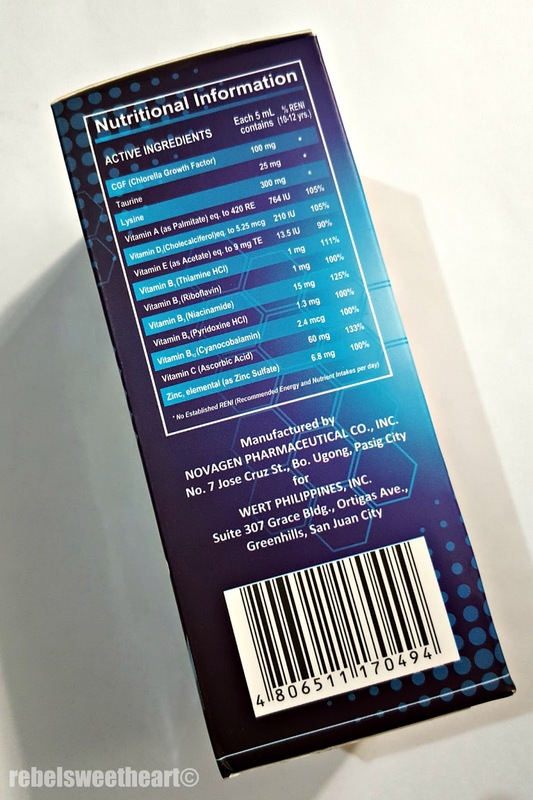 Also available at all Mercury Drug outlets, Dayzinc is priced at Php 110 for 30 mL drops, Php 125 for a 120 mL bottle, and Php 240 for a 250 mL bottle. To know more about Nutri 10 Plus, follow them on Facebook. I pack with a list too! LOL We need to rush pack and leave during hurricane season when the hurricanes reach a certain category, so I have a prepared list of what to pack so I don't forget anything we may need including medicine! It's easier when you only have 30 minutes to an hour to pack to leave! LOL In 2005 we were gone for 3 weeks, I packed for 3 days :( Needless to say that list has changed! I'm currently using a different brand as well, I'd love to check this out. It sounds amazing and if it's going to be better than the multivitamins that I'm giving the kids then I'd rather use this one. That sounds like a lovely choice for vitamins. It's important that we pick the one that's packed with everything that our kids need.